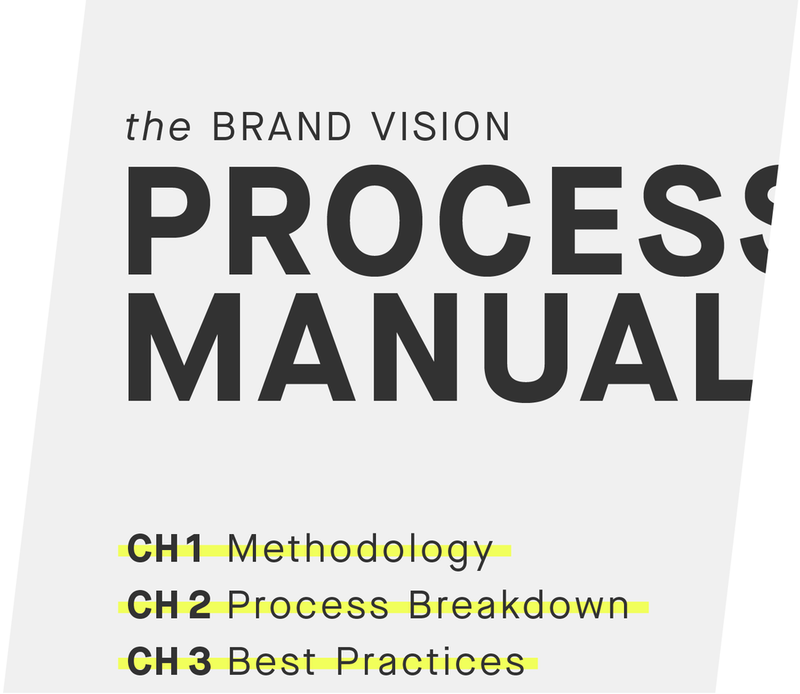 How can a graphic designer build a human-centered strategy process for a branding agency? The Knowledge Transfer Partnership is a collaboration between education and industry. In this case, design university Central Saint Martins and brand strategy agency FreshBritain. As the associate between the two, I was tasked with improving the brand strategy process while sharing knowledge across all parties involved. Below are some of the methods I used in leading the innovation of the brand strategy process. Gain understanding of the team and process through both objectivity and empathy. Questions help get information, but they can also make you think of something familiar in a whole new way. Prompted by questions, the very tacit process began to break open for the team. What someone says they do and what they actually do don’t always align. Observing the team was a key facet in understanding the objective reality of the process. People speak differently depending on who’s in the room. One-to-one conversations with each team member provided a whole host of different perspectives. Documenting on paper means you don’t have to keep it in your memory. Notes were a useful reference when working with so many moving parts. I was part of the team, but had to maintain an outsider’s perspective. For 18 months, I had my own desk at FreshBritain’s headquarters in the peaceful British Cotswolds. I sat alongside the strategy team, had tea at 3pm with everyone, and celebrated holidays and wins like I was part of the team. In many ways, I was just that. But I was also an external employee who’s job was to assess the team’s process and find new ways of doing it. The success of the project was in part due to the duality of belonging with the team, their beliefs and their goals while staying objective and analytical to the process. Maintaining an outside perspective meant I could easily question and challenge anything, which was integral to the innovation of the process. To understand the context of FreshBritain’s work, an investigation into competitors highlighted differentiation. I presented my research to the team by leading them through a concise narrative of what I found and what it meant for the agency. By the end, it was clear where we stood. Seeing the juxtaposition to others helped define who FreshBritain is. Uncover problems and unveil opportunities. There are truths that are unchanging and ground the company and process. These were things everyone could believe and get behind. They became pillars for the rest of the project—and for the entire company! Images are a fast way to get everyone on the same page. Most communications with the team involved a visual aspect, which sparked conversation and unified understanding. Pinpointing things that need change and those that should remain stable can guide future efforts. Understanding the team and process in these terms helped define the purpose of where we could take it. Visualising the process exposes the reality of what currently happens. Seeing a complex process in a single journey gave us something tangible to work with. 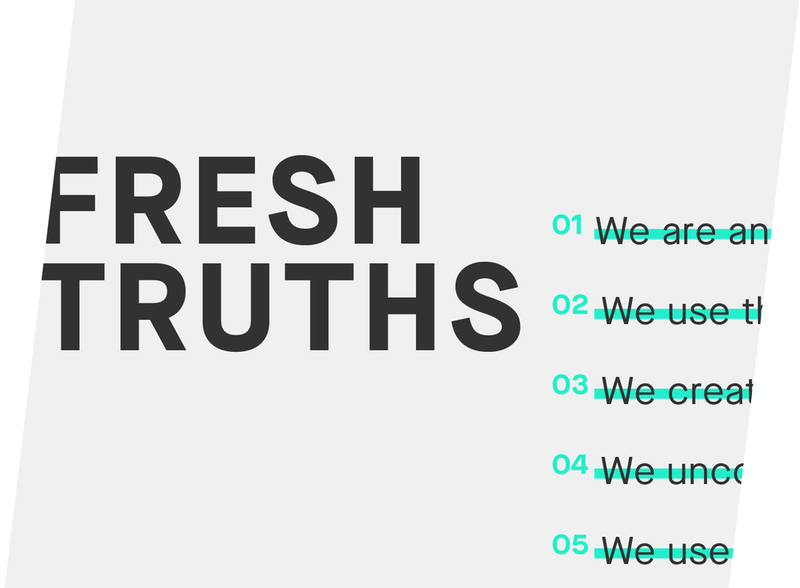 Defining FreshBritain’s unchanging beliefs unified the team and served as a guide as we questioned the brand strategy process. Being a mid-size company, the core truths were more intuitive than articulate. When I joined the team, I wanted to provide a space for the stakeholders to be introspective and define their collective values. Together, we identified concepts that were untouchable, such as the value of qualitative research over quantitative. With the focus and clarity the Fresh Truths provided, I now had a launchpad to leverage and amplify the most valued parts of the company. As a graphic designer, visualizing complex ideas was a natural way to inspire new conversations among the team and helped to unpick the details of the process. Not everyone is a visual thinker, but putting pen to paper helps remove subjective interpretations of spoken ideas. Over the course of the project, the team became more comfortable with quick messy sketches and turned to a blank page much more often during strategy sessions. Explore ideas and find solutions. A designated space and coordinated activities can bring focus when approaching a problem. A cross-departmental workshop empowered the team to look at their day-to-day work in a whole new way. Depending on your place in a company, you’ll have a unique vantage point that is valuable to innovation. It was important to help employees feel they had a voice in the company, so including them in ideation was essential. Looking outside your industry for ideas can spark new connections for innovation. My research went in many different directions where I found alternative approaches to our challenges. Observations lead to insights, which is the starting point for ideas based on findings and needs. It was important that the ideas and changes to the way the team worked were rooted in what we found in the research. I facilitated a day-long workshop for FreshBritain that opened cross-departmental conversations and collaborative solutions. Over the course of a day, I arranged for a series of activities that made the team step out of their comfort zone and see the process in a new way. They participated in exercises that stretched the brand strategy process to new limits—for instance, deliver a strategy in a quarter of the time it currently takes or put a complete emphasis on a single element of the process. Some of the ideas from the workshop were eventually implemented while other ideas simply allowed everyone to think differently about the things they’ve never questioned. We ran a four-day brand strategy sprint workshop with students at Central Saint Martins to share an industry process and to observe their fresh thinking. First and foremost, the workshop opened up the strategy side of branding to design students. We loosely took them through the FreshBritain process where they analysed client research and brand personalities. We also encouraged them to decide what information was valuable and what wasn’t, how to communicate a strategy, and what to do with all the raw data they were given. Working with the students exposed some challenges within the FreshBritain process and also highlighted new opportunities. Looking outside the professional industry sparked thinking that wasn’t part of the status quo. Create a systematic structure based on research and collective decisions. Building a framework is complicated, but like all systems design, putting it on paper is one way to make sense of it. Drawing out complex relationships within the process helped work through big challenges. 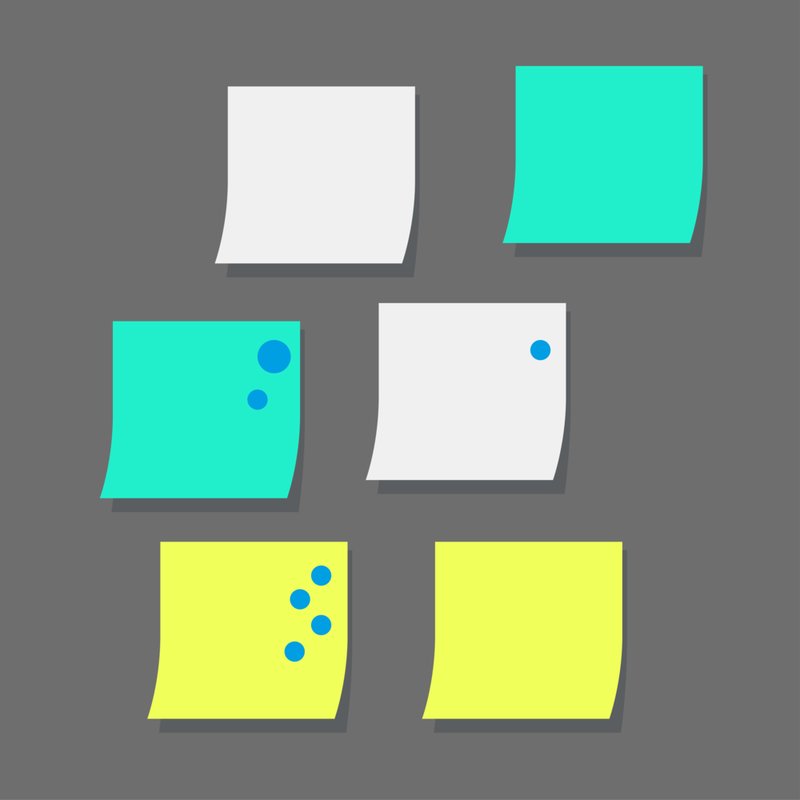 The journey map can be a beacon in a complex project so updating it is useful. Redesigning the process diagram solidified the direction the process was going and unified the team. When a framework is defined, tools and rituals help bring it to life. Finding the right tools was really important in the efforts to implement the changes to the process, especially because some of the changes were fundamental to the way people work. Doing a sense check on the details of the work is important, but so is stretching far back from the project to see it in a wider context. Taking moments to make sure the framework is delivering what we set out to do corrected anything before it went too far. The brand strategy diagram was redesigned to articulate the process and to communicate the stages in a way others could easily understand. The new diagram is very clear in what the process consists of. It was important to use language and shapes that didn’t alienate or befuddle new employees and potential clients. The diagram is used internally to guide the team in knowing where they are and what needs to be done (which is really useful for junior or new team members). The diagram is also used externally to introduce the FreshBritain brand strategy process to potential clients. By using shapes, color and type to communicate ideas, the information became easier for everyone to access. Throughout the entire project, I broke down systems and built them back up in a visual way. It helped make the complex concepts easy to understand more quickly, which led to more participation within the team. Bring the new framework to life and reflect on how it works. Actually producing a new idea is a good way to see if it can work or be changed. The cost was relatively low for trying out our new ideas. The act of making became common practice. Taking the time to look at what’s happened is how successes and failures are identified. Each person on the team interacted with the new processes in different ways, so it was useful to get everyone’s thoughts. No idea is perfect the first time you make it, so learning and adapting as you go is key. Slowly and methodically we introduced new practices to the team to use in their next project with adjustments made along the way. User testing can reveal unknown issues and opportunities. Tools were designed with certain intentions, but seeing how the team used them in practice allowed the tools to be adjusted and improved. 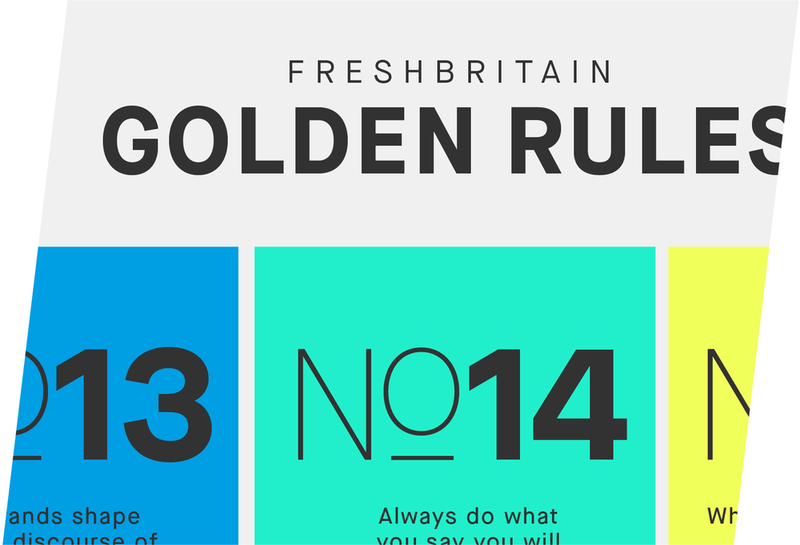 On reflection, we found hidden value in the wisdom within the team and curated it into one of FreshBritain’s new IP. Through prototyping and reflection, it suddenly became crystal clear that an entire body of work within the brand strategy process was something that could be packaged and pitched as the company’s differentiator. 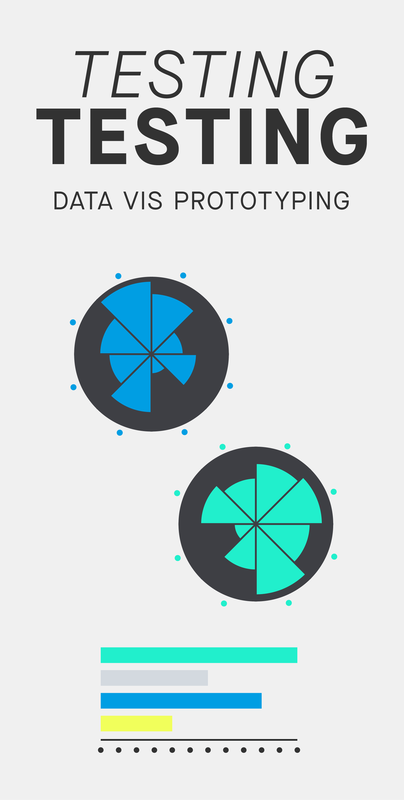 The data vis prototypes helped see how the team interacted with information and what areas to continue to improve. I used the methods of prototyping to articulate the functionality needs of the digital platforms we were researching. Our working sessions exposed where confusion, personal comfort and unseen insights lie. Empower the team to deliver on all the changes and continuously innovate. Delivering a set of tested tools and rituals can unite a team around new changes. At the end of the project, it was useful to hand over a successful set of tools that were all integrated into the process. Instead of simply telling how something could be done, show it in action and lead others. By demonstrating approaches, the team observed and changed their behavior on their own. Open channels of communication foster confidence, purpose and improvement. As the lead on the project, it was important for me to be available for candid conversations. Consistent reflection on future projects provides space to continuously improve. By building this ritual into the process, the team can rely on the time to assess the successes and failures in the future. The level of detail in the codified brand strategy process was captured in a set of resource documents for everyone at FreshBritain. After nearly 18 months of dissecting, articulating and innovating the process, I created a set of documents to put it all on paper. The changes to the process were implemented with the current team, but the Process Manual will become a point of reference in the future and a key tool in training new employees. The Manual is made of three sections for different uses. The Methodology section tells stories of how FreshBritain came to do what they do and the strongest beliefs that guide their work. The Process Breakdown gives detailed, step-by-step instructions for the standard elements of the process. And the Best Practices section is a reference booklet that can be used to brush up on things like interviewing skills and tips for facilitating a workshop. The changes to the process were made easier to implement through creating a Starter Kit that equipped the team at the start of each client project. This began as a solution to the inefficient practices of the old process and consists of a set of analog tools like research note-taking sheets, checklists for major client meetings, and a map of the server’s folder structure. These tools assisted the team in navigating the shifts in process practices. Thank you to the teams at Innovate UK, Central Saint Martins and FreshBritain. If you want to know more about this project, email me. Or read about how I used a graphic design approach on a non-design project. 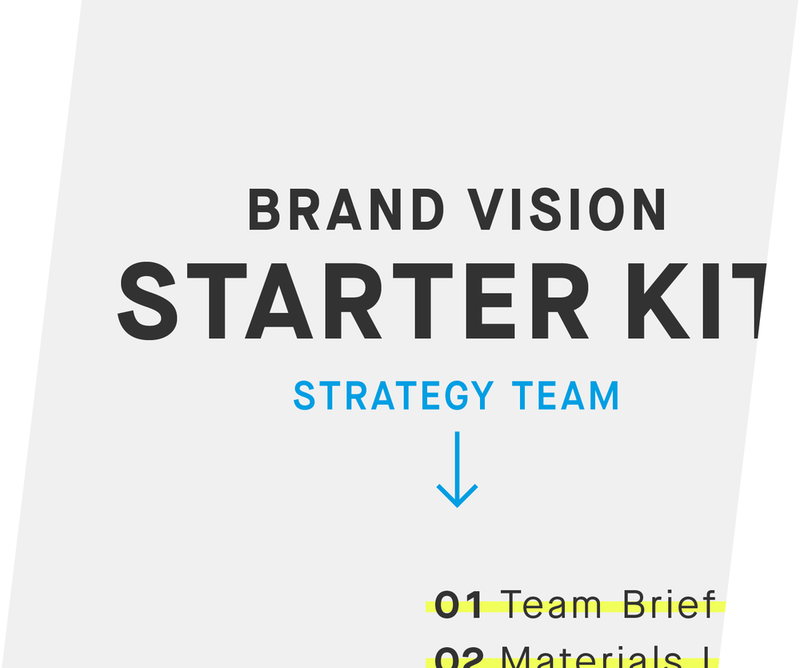 A design approach changed how a strategy team works.